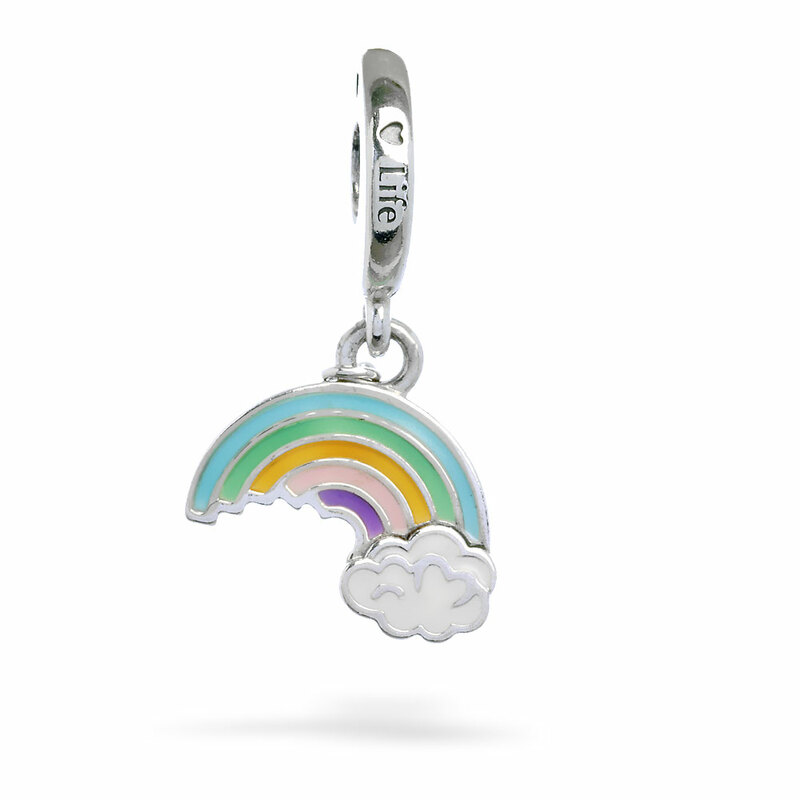 Set the scene for a perfect day with this sterling silver rainbow hanging charm. Beaming with hand-painted enamel in pastel colours, this charm also features the word “life” engraved on the base of the charm, next to a petite heart. It’s a powerful symbol of life, optimism and new adventures. Available online and in-store.This item is a single charm only. Bracelets sold seperately. Styling images may show this charm on a bracelet as styling inspiration.